The Apple Watch isn't due to hit the market until April 24, but many security professionals are already thinking about the security implications of the new generation of wearables that it promises to usher in. 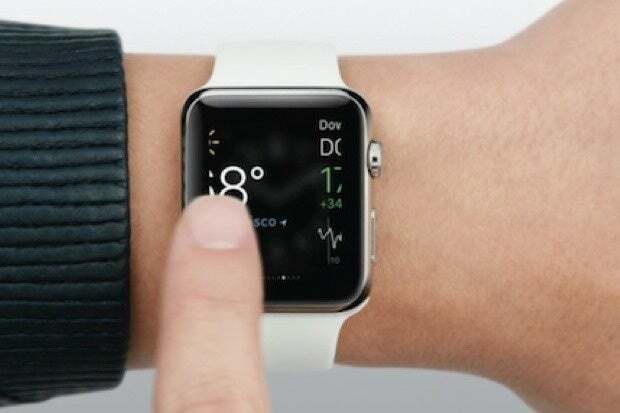 "Since the Apple Watch has sold out in its pre-orders, with shipping dates now out into June for any new orders, it's clearly a device that will see widespread use, and therefore be a target for attack," said Steve Hultquist, chief evangelist at Sunnyvale, Calif.-based RedSeal. Here are some of the questions they are asking, which could have implications for enterprise security. How can we ensure that the Apple Watch isn't used as a spying device? We've already seen examples of iPhone spy apps that can listen to near-by conversations. Companies with particular security concerns, such as those in the defense sector, may already be asking their employees to leave their phones before entering sensitive areas. Those policies will now have to be expanded to include all smart wearable devices. Can attackers eavesdrop on watch-to-phone communications? "The fact the device uses both Wi-Fi and Bluetooth will provide a great deal of interoperability and additional functionality for the watch," said Ken Westin, senior security analyst at Portland, Ore.,-based Tripwire. "However it also comes at the price of increasing the attack surface for the device." And there will be no shortage of hackers -- or security researchers -- poking and prodding at it, he said. Can we trust the third-party apps? "The fact the Apple Watch also integrates third-party apps could also increase security and privacy concerns," said Westin. One novel feature of the Apple Watch is that it allows developers to split the functionality of their apps into two parts. Graphical components, for example, could be provided via the watch's screen, said Jamie Boote, security consultant at Cigital. "This may expose communications and function calls that were previously handled internally," he said. A badly-designed application could potentially offer a wireless gateway to an iPhone's contents. This could be especially convenient for crooks who, right now, typically need physical access to the phone in order to do serious damage. Will corporate applications create privacy issues? If the Apple Watch gains widespread adoption, it may become convenient to use it to unlock computers, cars, and office doors. But the same apps that can make life more convenient for employees, can also create opportunities for employers to keep an eye on them. Maybe even too close an eye, raising privacy concerns. For example, the device can be used to track people's physical locations, said Tripwire's Westin. "This has both security and privacy implications," he said. "Not just from a malicious attackers perspective, but also overzealous marketing." Some security-conscious users will routinely turn off their phone's WiFi or Bluetooth services when in insecure locations or traveling. But if the Apple Watch functionality relies on those services, then they may be tempted to leave them on. "Connecting to untrusted WiFi points can lead to man-in-the-middle attacks," said Cigital's Boote. "And Bluetooth seems to get a vulnerability or exploit every other year." The real issue, said RedSeal's Hultquist, is complexity. "All of the comments about potential security issues are conjecture at this point, and more than anything point to the challenges of understanding the security of complex, interconnected systems," he said. Those challenges include understanding what communication access is possible, what access might be possible under unexpected situations, and what the implications are of unanticipated access. "These are the same questions every enterprise must answer about their enterprise network and its security architecture," he said.